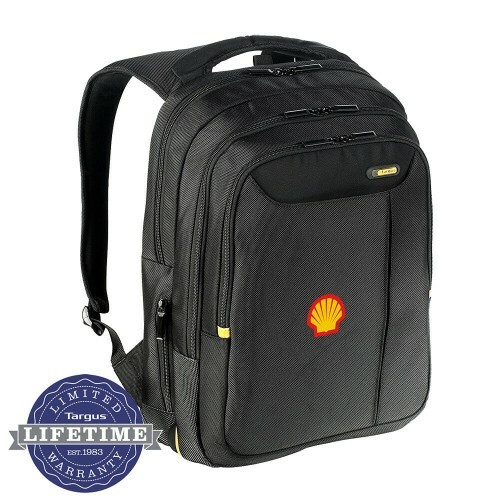 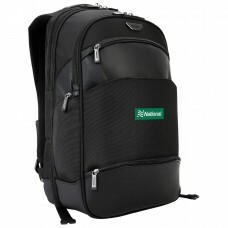 The Meridian II Backpack is designed to fit laptops up to 15.6”. 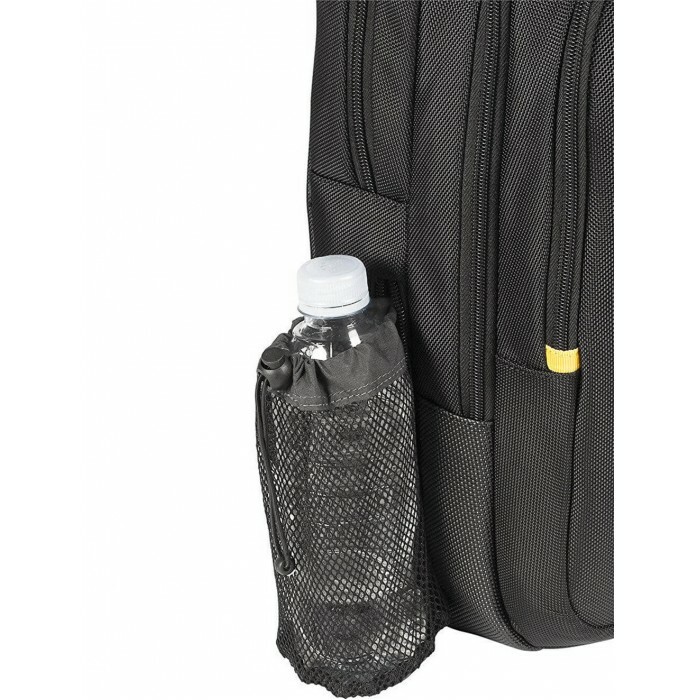 The SafePort® Sling system keeps your laptop safe during travel, while the durable nylon materials with signature weather mesh on the bottom of the backpack provide shock absorption. The expandable file section keeps your documents organized. 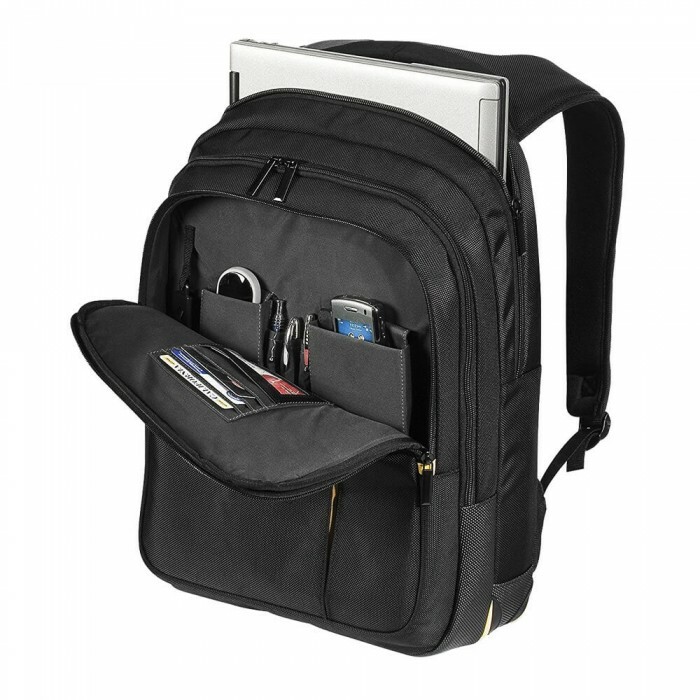 A front workstation includes a cell phone pocket, pen loops, business card holder, and multiple accessory media storage pockets for added convenience. For easy access, we’ve included a patented retractable water bottle holder and retractable airline ticket holder. 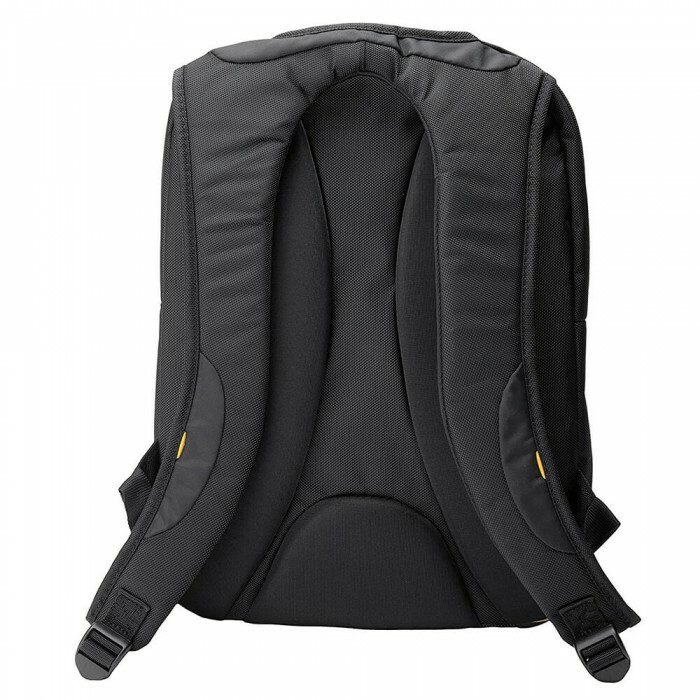 The top handle is incorporated into the contoured shoulder straps, and back padding is curved to fit the shape of your back with lower back support. Complete with strategically spaced padding to allow airflow on your back, the Meridian II Backpack is comfortable to carry. 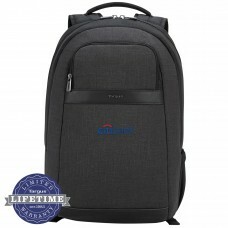 The Meridian Backpack from Targus® is designed to fit laptops up to 15.6-inch widescreens with large storage capacity in a stylish design. 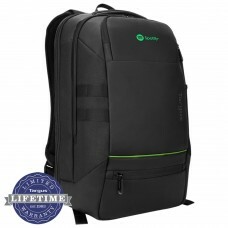 Its padded compartment keeps your laptop safe during travel,while the durable nylon materials with signature weather mesh on the bottom of the case provides a stylish design element and shock absorption. 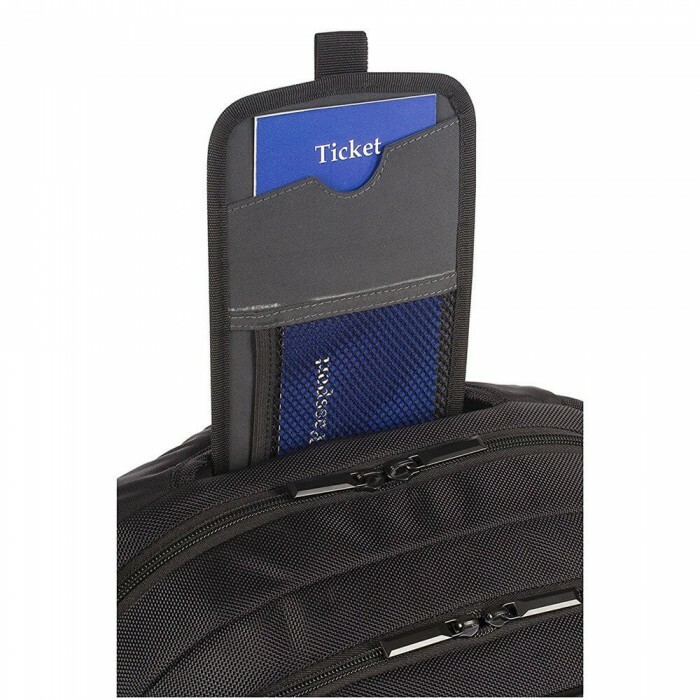 The expandable file section keeps your documents organized during travel and offers two additional large accessory pouches. Featured front workstation includes a removable cell phone pocket, pen loops, business card holder, and multiple accessory media storage pockets for added convenience. For added comfort, the bag includes padded ergonomic shoulder straps with air mesh covering to provide a comfortable and cool fit. 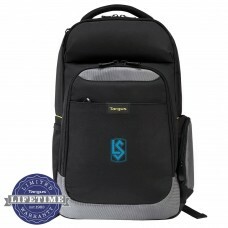 Size: 13W' x 18H" x 5 1/4D"